Diamond dial Rolex Oyster Datejust. 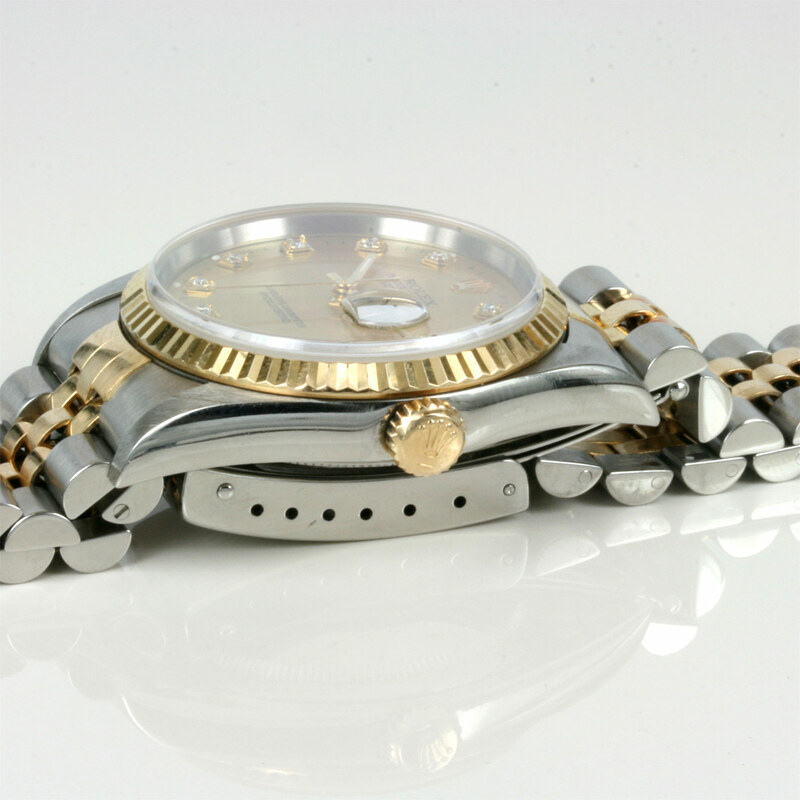 Product code: 1218 Categories: Sold Items, Sold Rolex Watches. This is a Rolex model that has never gone out of style and is always sought after – the Rolex Oyster Perpetual Datejust in 18ct yellow gold and stainless steel with the champagne diamond dial. The diamonds lift the entire look of the watch without pushing it over the top and looks sensational day or night. The Rolex Oyster case measures 35mm across and has the Rolex screw-down crown and back. 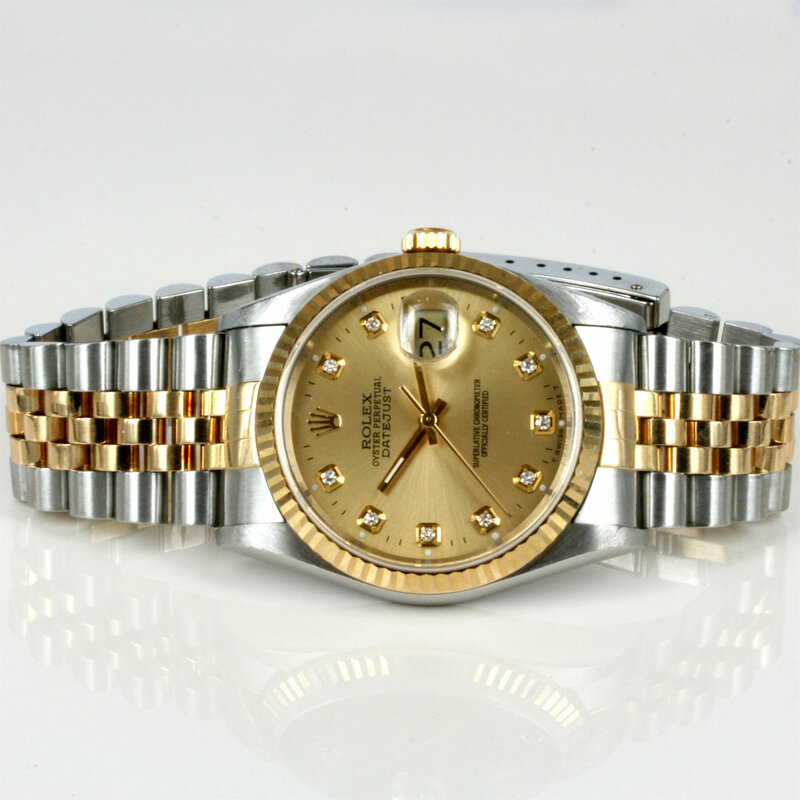 Perfect for anyone for any occasion, this is a sensational and stylish Rolex watch.